Waterproof and breathable, the Adrenaline Gloves are filled with EnduraLoft insulation and have all the function and features needed to keep protected from the elements. 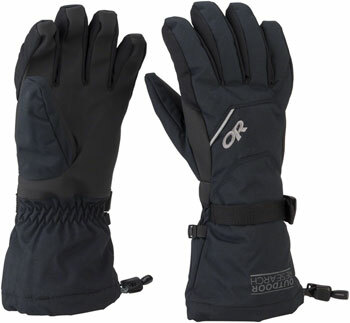 Available SoonSorry, 'Outdoor Research Adrenaline Gloves: Black, MD' is currently out of stock. Please check back later or contact Bikeman for an expected availability date. Refer to our Shipping Terms for more information.